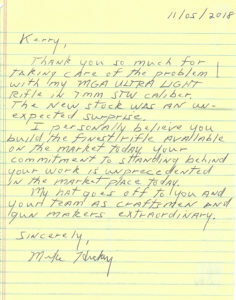 MG Arms clients are just as passionate about their firearms as we are. That is why they continue to come back to us over and over again. This page is dedicated to our loyal customers that have supported us through the 30+ years of business. Your commitment to standing behind your work is unprecedented in the market place today. I just want to say I LOVE MY Rifle!!!!!!!!! The thing is incredible! I assisted and let several people shoot 17 animals with this rifle. Everybody LOVES it and says its there favorite. 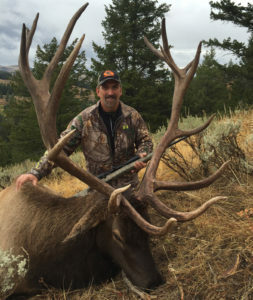 I want another that is light and big rifle with the same 3.5 x18 4-w scope, for moose, bear, Mt Goat, Ibex, Argali. I want to thank you for my (2) 6.5×284’s you built for my boys. 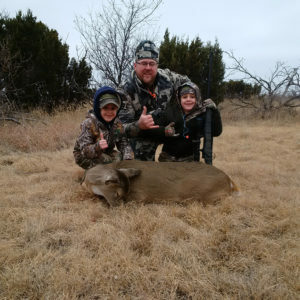 I took them to Amarillo last week, and they took their first kills, and first bucks with them. anniversary) Thanks for making it a great day!!! with a Hornady 143 grain ELDX at 200 yards. for this great gun you built for me. 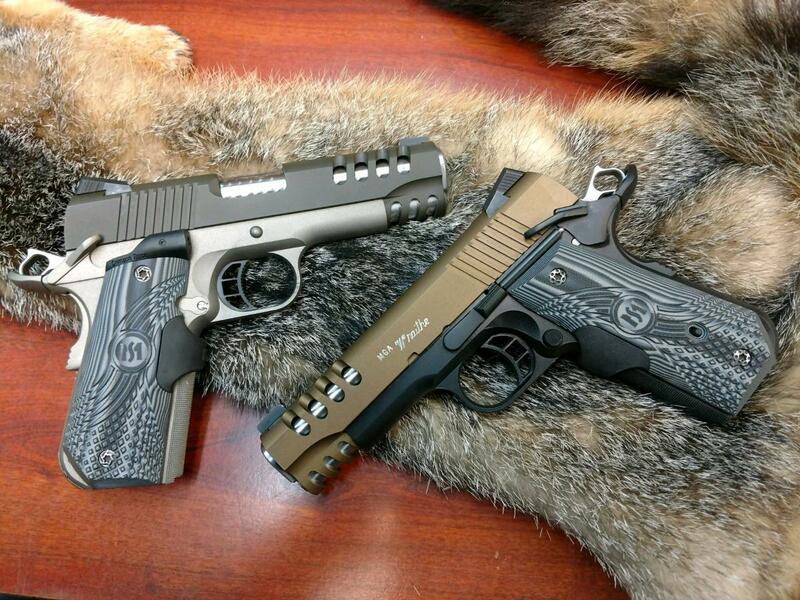 I definitely took the right gun! Bases. I definitely took the right gun! One down, 3 more to go and plan on using this gun for the rest! Thanks again. 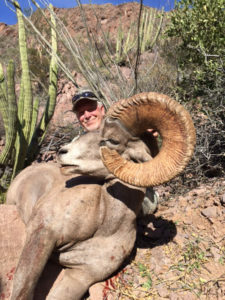 I wanted to send a picture of the ram I took yesterday with the 6.5-300 you put together for me. The rifle shoots great and I couldn’t be happier. 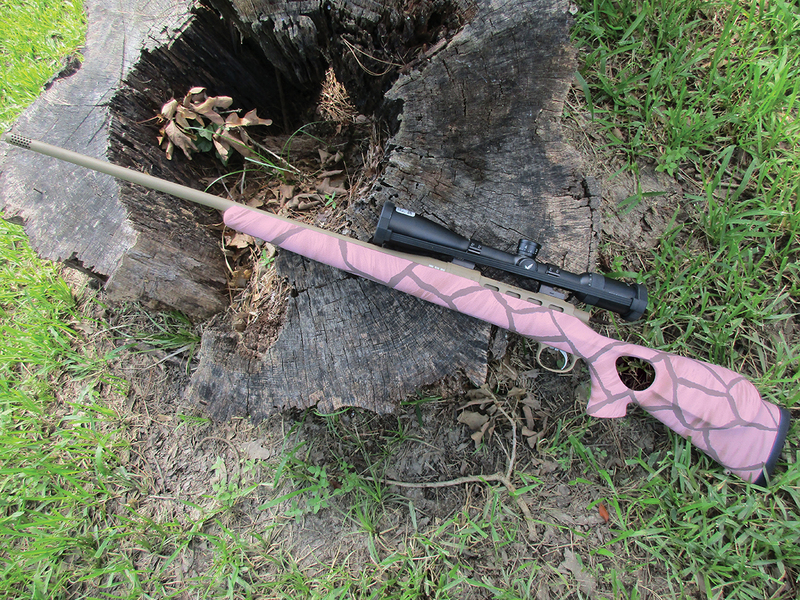 Julie loves the .257 and .270 you built as well. 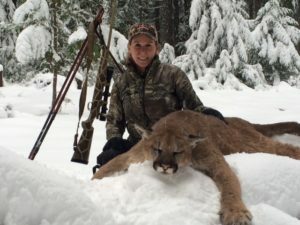 I just wanted to let you know that I finally got a cougar on my fourth try.I just wanted to let you know that I finally got a cougar on my fourth try. 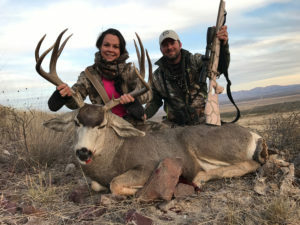 I used my trusted and favorite .270 from two of my favorite peeps! Thank you once again. I am still in love with my MG Ultra light! Thanks again! Just wanted to thank you for the 300RUM Ultralite rifle you built me this past spring. 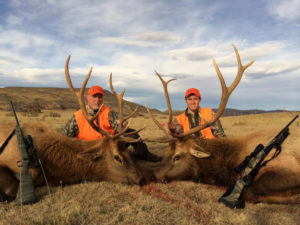 I took it to New Mexico, Unit 23 (Gila National Forrest) and on the second day, I shot this 350″ Bull Elk at 825yards, one shot. 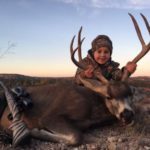 I was hunting with Michael De La O of Gila & Apache Outfitters in Reserve NM. These guys are the real deal, and this country was so rough,that without that sub-MOA accuracy of your rifle, it would have never happened. 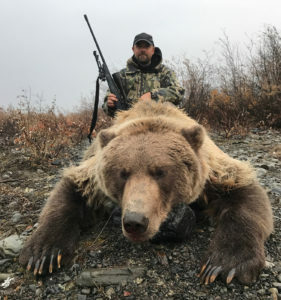 The 7 total pounds (with Huskemaw 5-20×50) of weight made the world of difference in that country.Just wanted to thank you for the 300RUM Ultralite rifle you built me this past spring. 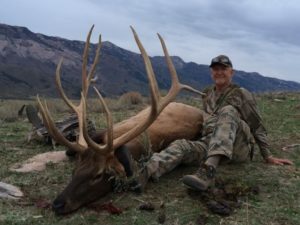 I took it to New Mexico, Unit 23 (Gila National Forrest) and on the second day, I shot this 350″ Bull Elk at 825yards, one shot. 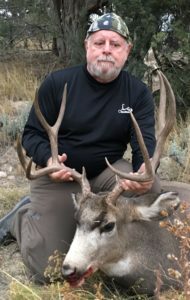 I was hunting with Michael De La O of Gila & Apache Outfitters in Reserve NM. These guys are the real deal, and this country was so rough,that without that sub-MOA accuracy of your rifle, it would have never happened. The 7 total pounds (with Huskemaw 5-20×50) of weight made the world of difference in that country. I think I am ready for a 280AI in your signature series when I get back home. Thanks to you and your staff for such a fine firearm. 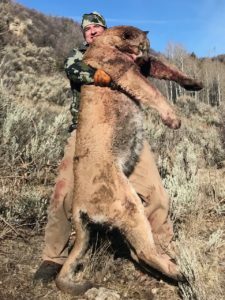 I wanted to share with you pictures of the lion I got using the 375HH you built for me. I also attached a picture of the 270 gr triple shock bullets you loaded for me. The PH weighed them and all retained 100% of their weight! Two shots above each eye and an insurance shot in the chest. 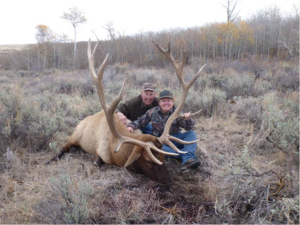 Also took a 46 inch buffalo with one shot using the 270 gr soft. 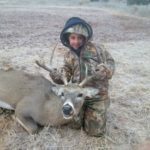 My 8 year old son Atlee took his first buck Saturday with my MG Arms CK-4 in 6.8. He dropped in his tracks! Atlee was so happy and excited as was I. 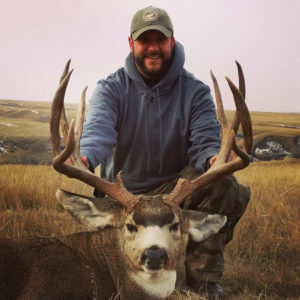 We harvested a very nice Alberta Mule Deer with the 300 Win Mag you folks built for us. 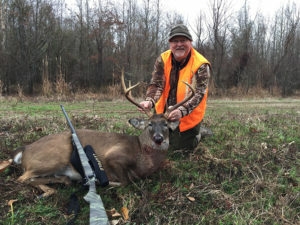 It has become our “Go-To Rifle”.We harvested a very nice Alberta Mule Deer with the 300 Win Mag you folks built for us. 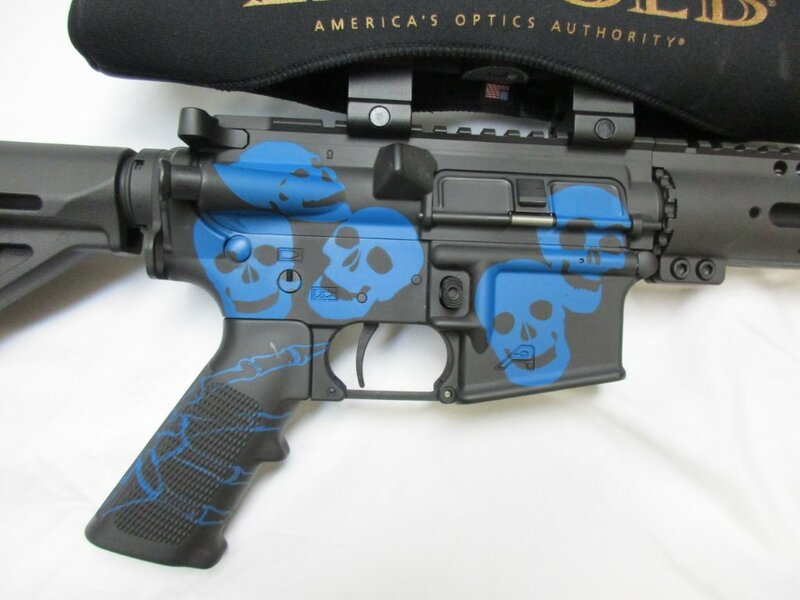 It has become our “Go-To Rifle”. It’s an outstanding product. Thanks! 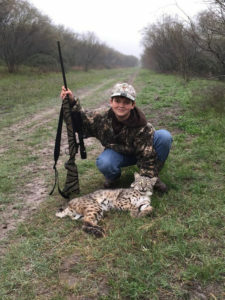 I thought you would like this pic of my son with the bobcat that he shot this weekend. Perfect shot at about 175 yards. The gun is awesome. I would like to thank MG Arms for the gunsmithing work on my Ruger 7mm Mag (accuracy package, custom ammo, & custom stock). 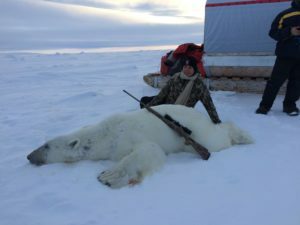 I had a very successful Alaskan Black Bear hunt and I’m very pleased with the accuracy and light weight of my rifle. The custom stock made my rifle very light and easy to pack on long hikes in Alaska. 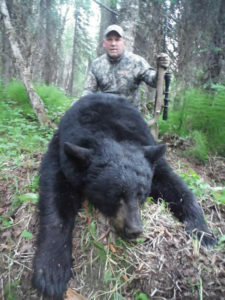 I have attached the photo of my 6″7″ Black Bear and I’m looking forward to the next hunting adventure with my customized rifle. 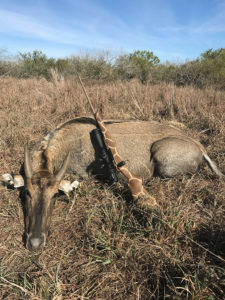 My MG Arms Ultralight 325 WSM has become my “go to” plains game rifle in Africa. 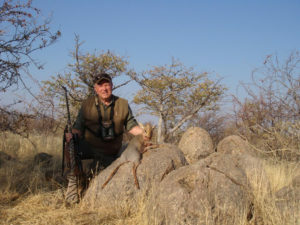 Here is a picture of my rifle with a beautiful 3 ½ inch Damarland Dik Dik that was taken in Northwest Namibia two weeks ago. 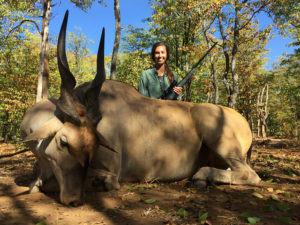 My MG Arms Ultralight 325 WSM also accounted for a wonderful Hartmann’s Mountain Zebra Stallion and three very respectable gemsbok. 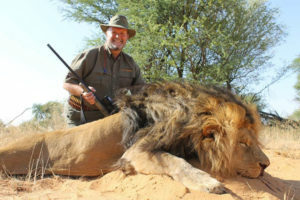 My MG Arms Ultralight 325 WSM has become my “go to” plains game rifle in Africa. 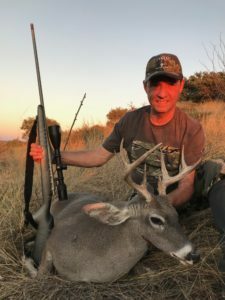 Here is a picture of my rifle with a beautiful 3 ½ inch Damarland Dik Dik that was taken in Northwest Namibia two weeks ago. 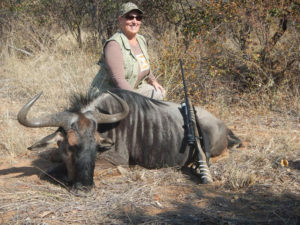 My MG Arms Ultralight 325 WSM also accounted for a wonderful Hartmann’s Mountain Zebra Stallion and three very respectable gemsbok. I love that rifle and its accuracy! Your firearms are amazing ! I am extremely happy with this rifle. 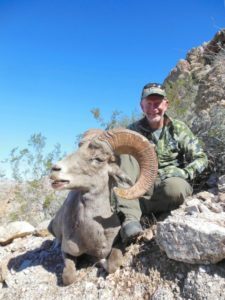 Wanted to share a photo from my Desert Bighorn Sheep hunt in Sonora, Mexico, the first hunt with my new Ultralight .300 Win Mag. 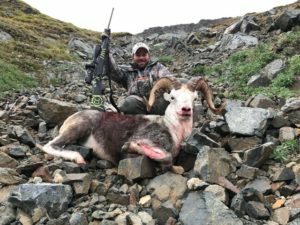 I shot a nice ram on Day 4 of the hunt, a 350 yard shot straight up a steep incline. He dropped in his tracks. Pretty much a perfect shot! I am extremely happy with this rifle. It weighs a little less than 7 pounds with scope and sling, consistently shoots sub-MOA groups, and the recoil is amazingly light. 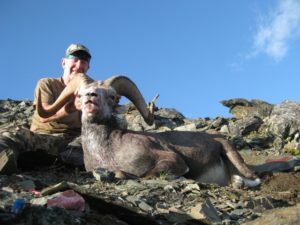 Next hunt will be for Stone Sheep in August. 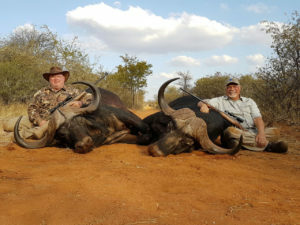 Cape Buffalo 39 inches, score 114. After your upgrade to my 416 Rigby. 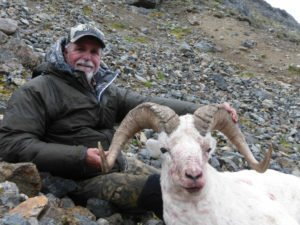 My second hunt with my Ultralight .300 Win Mag was for Stone Sheep in northern British Columbia. 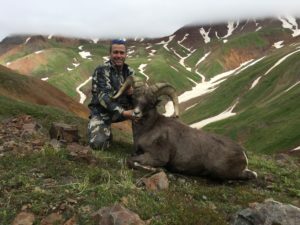 Shot this ram on opening day at 400 yards. 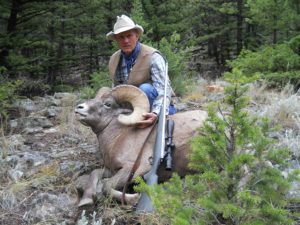 He dropped in his tracks, just like the previous ram (Desert Bighorn). The 180 grain Accubond hand loads seem to be doing the trick. We left our spike camp at 6:00 a.m. and returned at midnight, covering 2700’ vertical. I was really happy to be carrying a 7 lb rifle (with scope and sling). 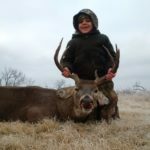 Longest Shot of My Hunting Career. Carol, Again, thank you and Kerry for building a company that is making outstanding rifles and great loads for the first in class equipment. Great equipment does matter! I went to the range yesterday and started the barrel break-in process (shot 18 rounds in 6, 3 shot groups). I can now say that not only the look and feel of the rifle meet my expectations, but the accuracy is amazing. After this one range session shooting some of the your supplied ammo as well as three different loads I has worked up for my other (Kimber) 300 WSM I have more confidence in this rifle than any other that I own. 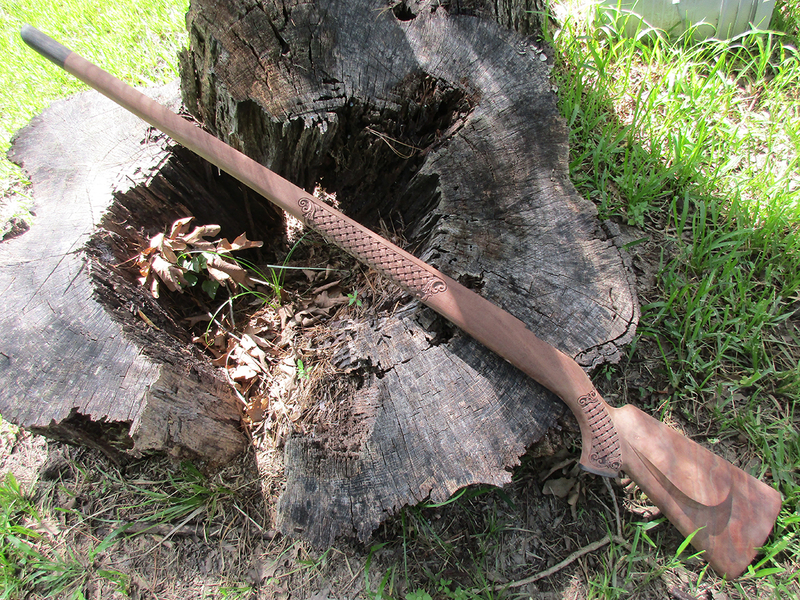 Thank you, Mr. Kerry and everyone their that worked on my rifle. 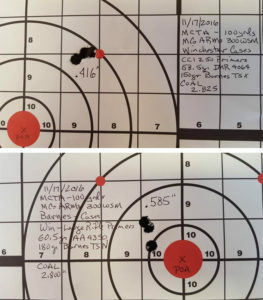 I have attached two pictures of the last two groups I fired yesterday. 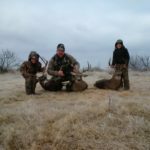 With a little more time behind the trigger I should be able to get these groups a little tighter and really break the rifle in on some deer in December. 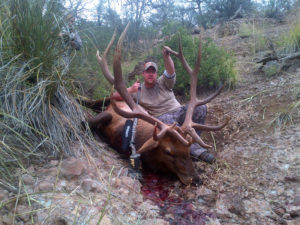 Wanted to pass along a photo of the bull my daughter Heather took this week with her MG Arms 300ultra mag. 570 yards. We do love Ultra Light rifles. 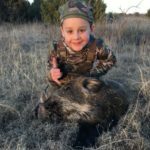 Dropped him on top of a mountain at 200 yards. 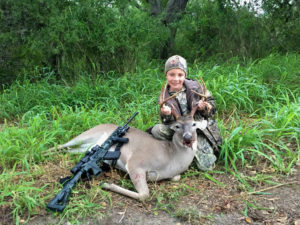 She shot an albino whitetail this year that could be the biggest non typical albino ever killed, she loves her gun. Alaska next. Sorry no gun in the sheep photos thought you would enjoy the pic anyway. 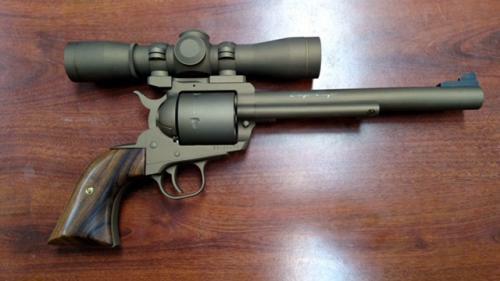 Very happy rifle owner.